I decided to be positive and maintained my environment as stress-free as possible. I decided to always think the best of others and myself. The more positivity I can share the more freeing in doing the right things to impact and influence others. I was called to participate in bigger opportunities more often. I was also able to do my passion which is speaking, coaching, and training. Now, the workplace was somehow easier because I was able to communicate and connect with my team and help the leaders with their vision. 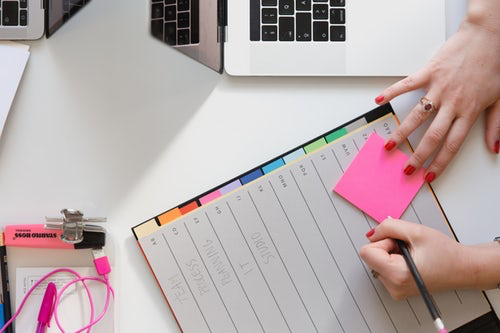 To reduce stress at my workplace, I organized my schedule in a manner to do the urgent and important things first than those that are less necessary. With this planning, I exceeded delivery of projects and even had ample time to support others throughout various departments to push the tasks at hand. Enough so, I was tapped to complete a portion of a project for the president at that time. Because, my leader knew not only she could count on me but it was going to be done with excellence. Of course, having learning to ensure my stress level is down transformed me in many ways. I am more patient towards others because I knew how stress can affect the quality of life. Yes, stress is inevitable. But you have to be graceful in facing it. If things do not go your way, it is better to be find stress-relieving techniques and apply them to your daily routine. Of course, there will be time when you are in a stressful situation, but think about this; is getting upset over it will change what has happened? Of course, it will not. So, I have learned to pause for a moment and breathe deeply and remain in a calm manner. Remember, how you communicate with others will be remembered long after the stressful situation has dissipated. From the tone of your voice, to you raising your voice, it matters. Yes, it is human nature that days like that will place you on a defense mode, but you can truly be the champion in the room. This is why my team and I discuss any issues about our workplace promptly and continue to set goals that are needed to be accomplished in advanced. We create an environment of effectiveness, efficiency, and productivity so we are more stress-free. So again, be patient, graceful and contribute your positivity at your workplace to create a stress-free environment.